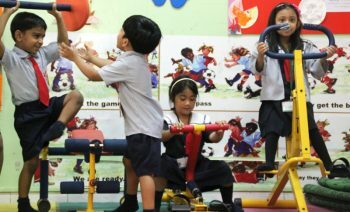 At Apple International School, we strongly believe that children in the Foundation Stage learn best through first-hand experience and structured play activities. Our Curriculum-EYFS (Early Years Foundation Stage) recognizes the importance of this period in a child’s life and affirms the principles and practices that best support and extend children’s development and learning. 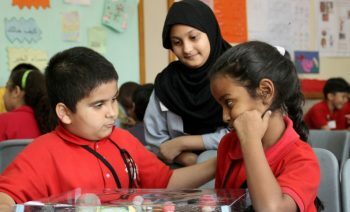 Some activities that are based on a theme or topic, usually take place in the classroom and others in the shared and outside learning areas so that children have access to different resources during their day. 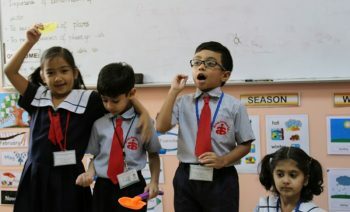 The Apple International School fosters a caring, supportive and stimulating environment in which everyone develops the confidence to achieve beyond their expectations. 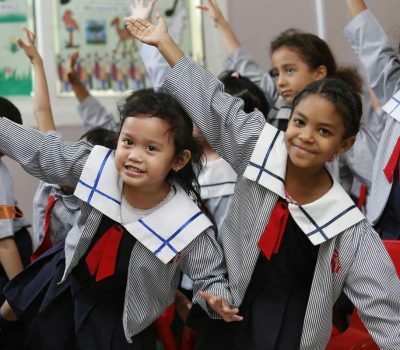 Experience has shown us that children benefit from some structure to their day & therefore, we follow a daily routine through which each child is enabled to develop individually. The structure of the Foundation stage has been sensitively planned to create a strong bond between the teacher and her students. Foundation stage students spend most of the day with their own teacher & this helps them to consider the school a second home. Education at this key stage is a foundation for the future. 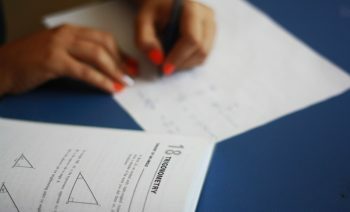 Literacy and Numeracy skills are introduced at this stage. Story- time, CT, Kiddies Kitchenette, Physical Education and Outside Learning Areas bring variety into the regular school day. 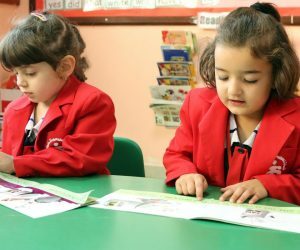 Education during these years can be flexible and the students’ days are planned according to their own needs and circumstances.Dedicated Teachers and Teaching Assistants of Foundation Stage set the standards for learning, development and care of our children. 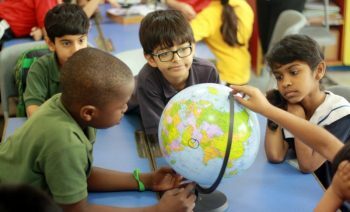 Individual needs of children are addressed and children are guided with care through their stages of development and the expectations of the seven areas of learning and development:When you visit the Foundation Stage of the Apple International School, you step into a warm, welcoming and positive environment where everybody supports one another to succeed. Our community starts with you. 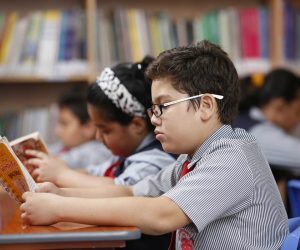 We know that our school will be a central part of your community during your stay in the UAE and we invite you to come along to attend school activities and other social events.We aim to provide quality education for your child and we hope that you will work in partnership with us towards this!